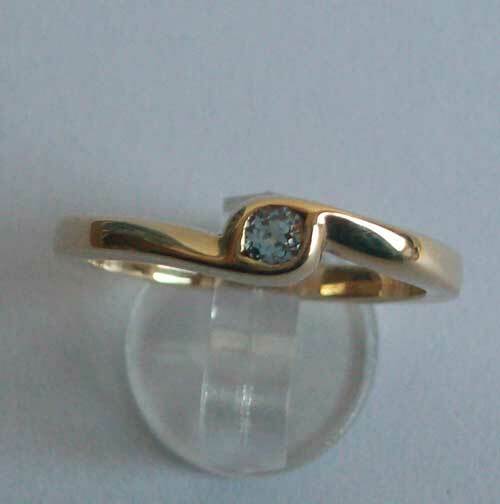 Kildonan Ring Gold 9ct set with a 3mm round stone. Please choose stone colour and size. The ring shank is 2.2mm wide. Hallmarked at the Edinburgh Assay office supplied in a presentation box.